Local artists, craftsmakers and musicians will join Historical Society volunteers to present the 43nd Annual Middletown Springs Strawberry Festival. Admission is free. Strawberry lovers are invited on Sunday, June 24 from 2 to 4 pm to the Historical Society on the Green. 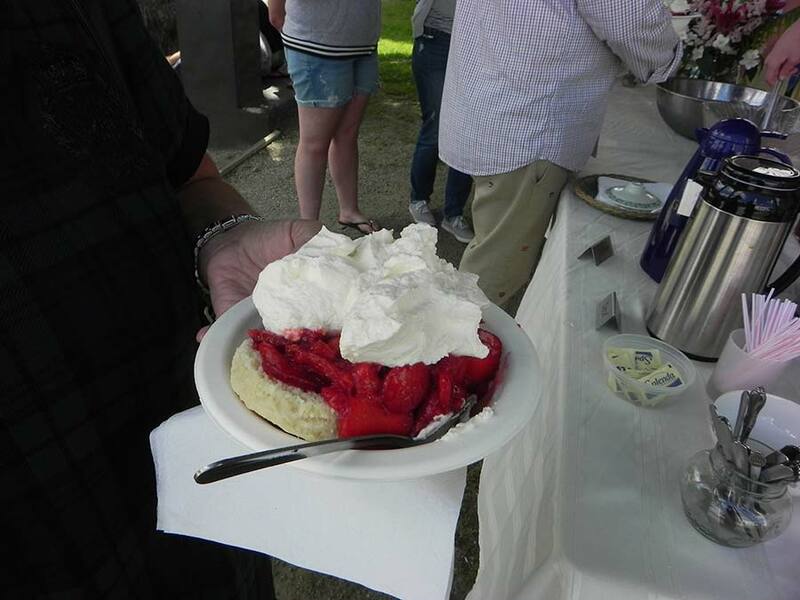 The festival features delicious strawberry shortcake made with fresh Vermont strawberries, homemade biscuits, vanilla ice cream and whipped cream, along with iced tea, lemonade or coffee. Local artists and craftspeople will display and sell their work, including maple products, jewelry, photography, knitted items, honey and beeswax products. Items donated by Historical Society members and friends will also be for sale to benefit the organization. Paul Morgan and friends enliven the afternoon with acoustic music, and there will be children’s activities. The Historical Society Museum will be open all afternoon, as well as on Sunday afternoons through October. Admission is free. On view in the Museum is the exhibit, “Saving Sylvanus”, about Sylvanus Haynes (1768- 1826), the first pastor of the Baptist church in Middletown. In addition are exhibits on the Montvert Hotel and Mineral Springs, and the Middletown History Timeline. The Mineral Springs Park, located nearby, is open every day, year round. For more information, contact Pat Hemenway at 235-2421 or David Wright at 235-2376.